With more sunshine than any other part of the UK, the Isle of Wight is the perfect place to grow tomatoes. But The Tomato Stall take things to the next level, creating microclimates inside gigantic glasshouses with cutting-edge tech to produce some of the best tomatoes in the world. How many times have you heard someone mention that tomatoes don’t taste like they used to? It’s certainly true that the mass-produced tomatoes from abroad – often Spain, Holland and Morocco – are pretty uninspiring; watery, tasteless and with a mushy, floury texture. If you’ve ever grown your own tomatoes then you’ll know how fragrant and sweet they can be when picked and eaten straight from the plant, but to get the same experience from shop-bought varieties you need to keep an eye out for those grown on the Isle of Wight – perhaps not the first place you’d think of being home to top-quality tomatoes. The Tomato Stall is responsible for the Isle of Wight’s tomatoes, working since the early 2000s to make the island known for the fruit. 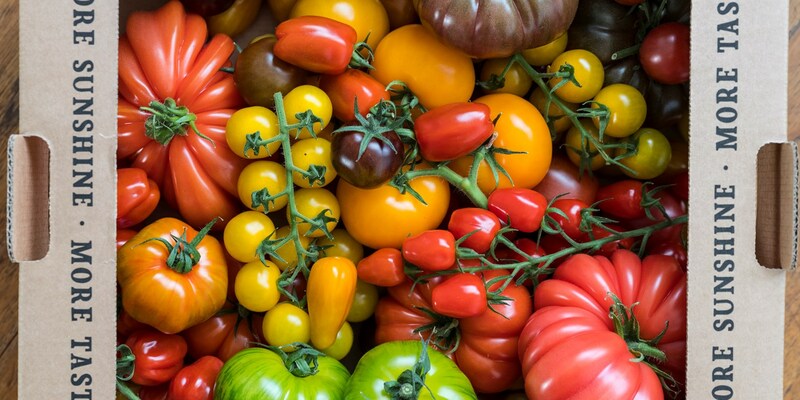 Originally using old glasshouses on the island that were previously reserved to grow flowers and then bog-standard salad tomatoes, it’s now home to around sixty commercial varieties of tomatoes which come in a cornucopia of colours and flavours. 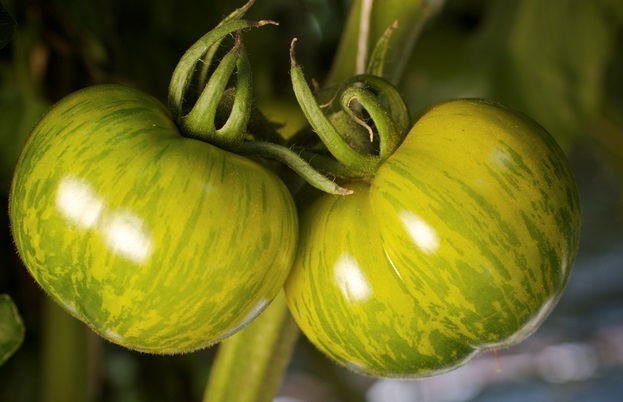 Walking around the glasshouses, it’s clear that every single element of tomato growing has been painstakingly reviewed and improved to become the best it can be. 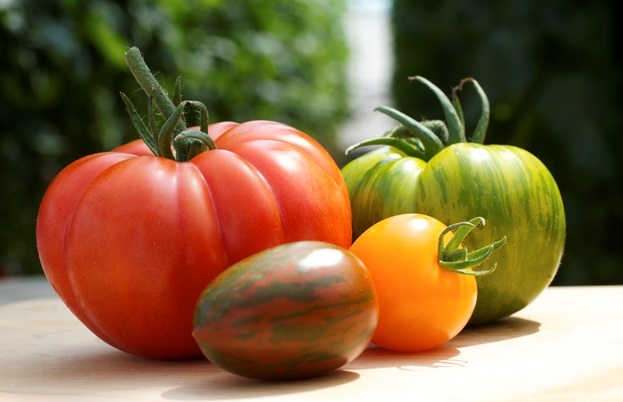 Different types of glass are used in different types of glasshouses to benefit different types of tomatoes. An AI system reads the amount of sunlight multiple times a second and adjusts other variables accordingly. CO2 is pumped into the glasshouses and humidity is controlled. The Tomato Stall is even experimenting with special LED lights developed by Philips to see how they can benefit the fruits. 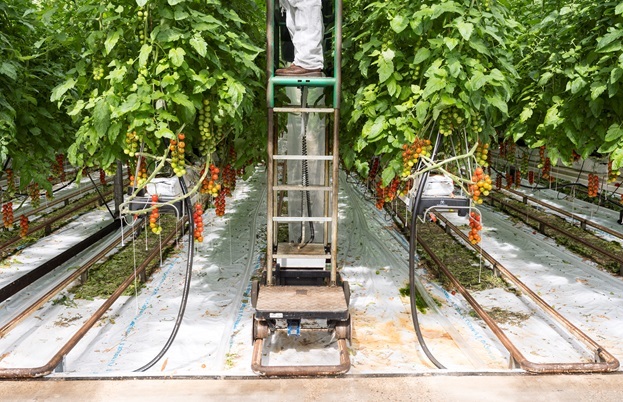 But despite all these cutting-edge methods, the business is actually incredibly sustainable, and relies on nature just as much as technology to produce the best tomatoes it can. The final piece of the puzzle that makes Isle of Wight Tomatoes so good is their location. 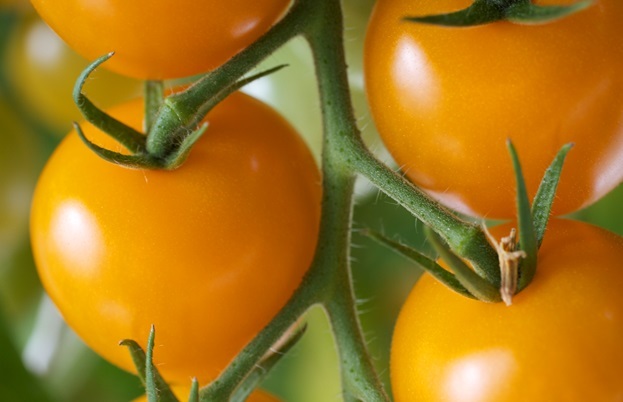 While any tomato grower could utilise the latest technology and make the most of natural, sustainable methods to improve their tomatoes, they wouldn’t be able to match The Tomato Stall’s fruits. That’s because they either wouldn’t get enough sun in the UK, or because they would need to be transported for miles if coming from a sunnier country like Spain or Italy.